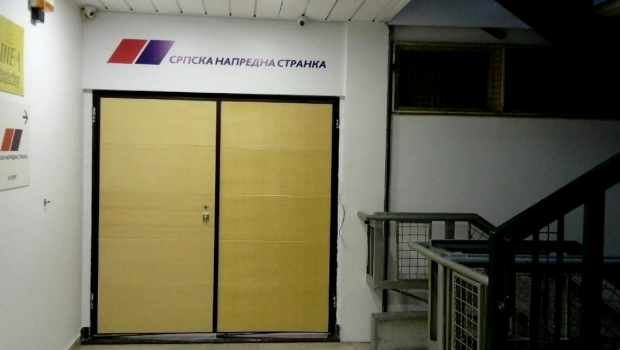 Five offices, with a total area of 590 square meters on the third floor in the building in Palmira Toljatija Street in Belgrade municipality of Novi Beograd, became the property of the Serbian Progressive Party (SNS) in December 2017. Velibor Jovanović, the SNS councillor, and Aleksandar Vučić, the President of the Republic of Serbia and the ruling party, signed a Gift Deed with an obligation to let the Belgrade City Board of the party to use the space. Although the Gift Deed does not specify the price of the real estate, i.e. the value of the gift, the financial report of SNS shows that Jovanović donated to the party the offices in the amount of 156 million RSD, or about 1.3 million EUR in 2017. All taxes and expenses incurred under this Deed are borne by the SNS, while only a public notary collected about 200 thousand RSD. Nemanja Nenadić, from the organization Transparency Serbia, says he sees no reason why SNS has not bought the property. “SNS has large budget funds and the Law (on Financing Political Activities) was amended in 2014 so that those funds can be used for real estate procurement,” Nenadić explained. The party had previously used these facilities, paying the lease to the pharmaceutical company Vetfarm. Vetfarm went bankrupt in 2013 and its creditors have been paid by selling the company's assets. According to data from the website of the Bankruptcy Supervision Agency, the real estate in Palmira Toljatija Street was sold in October 2016 to Velibor Jovanović at a price of about 250 thousand EUR, or five times lesser value than the one presented in the report of the SNS. From the procurement to the gift it has been just over a year. Jovanović is the SNS councillor in the Assembly of Kruševac, a city in central Serbia, the manager of Kruševac-based branch of the Automobile and Motorcycle Association of Serbia (AMSS) and the owner of several companies, including privatized Radio Television Trstenik. He is also the director of two companies owned by Vladan Gašić, son of Bratislav Gašić, the director of the Security Information Agency. The companies are BNZ-HIGIJENIC, of which Vladan Gašić is the co-owner, and the company SACO, of which he is the sole owner. The Law on Financing Political Activities prescribed the ways in which political actors can accept contributions or donations. A contribution can be money of an individual or a company, but also a gift and some services provided without compensation or under conditions that differ from market conditions. A party is obliged to report to the Anti-Corruption Agency every contribution, and if it exceeds an annual average wage, it has to be published on the website of the party. However, the Law prescribes limits as well – the amount of donation a party is allowed to take. When a natural person, such as Jovanović, donates to a party, the value of the gift for party’s regular work on an annual basis should not exceed twenty average monthly wages, which in 2017 amounted to about 920 thousand RSD. In case that a donor is a company or any other legal entity, this limit is raised to two hundred average salaries. If a donor exceeds the limit, according to the Law on Financing Political Activities, a party shall return the donation within 15 days of receiving the contribution. This, however, did not happen. Nenadić says that giving of the premises in New Belgrade was not legally allowed. “In case of misdemeanor proceedings and finding SNS and the responsible person in the SNS to be guilty for illegal gifts, I see no other solution in the Law than to seize the asset acquired by committing these offenses,” Nenadić said. Jovanović did not answer phone calls of journalists from the Center for Investigative Reporting in Serbia (CINS), and SNS also didn’t answer the questions. The premises in New Belgrade were also in the public eye during the campaign for the presidential and parliamentary elections in 2012, before they were transferred to the SNS. Prior to the elections, Dušan Stupar, one of the owners of Vetfarm, was arrested for alleged maltreatment in Azotara Pančevo, near Belgrade, and the investigation is underway. The media then published the statement of Aleksandar Martinović, a former member of the Serbian Radical Party, today the SNS deputy, that one of the SNS financiers was arrested, who allowed them to use premises in New Belgrade, free of charge. The premises, as a link between the Progressives and Stupar, were also mentioned by Boris Tadić, the president of Serbia at the time, in one of the TV duels with Tomislav Nikolić, his rival in the upcoming elections. Stupar recently denied these allegations to CINS, saying that it is pure nonsense, and that, when he was the owner of these offices, their value was one and a half million EUR. Premises in Belgrade are not the first real estate gifted by Jovanović to SNS. In February 2016, he led a consortium of 20 people that bought the offices used by Agrobanka in Kruševac. Just two months later, he gave the offices to the party according to a contract. 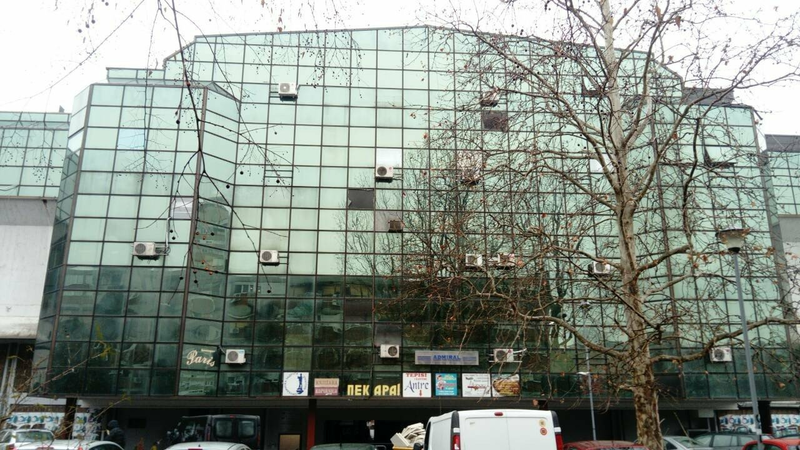 It is about 396 square meters of office space in Balkanska Street in Kruševac, worth slightly more than 13 million RSD and intended for the local City Board. Although shown in the financial report of SNS, this gift is not displayed as a contribution, but as another type of income. In the case of premises in Kruševac, Nenadić believes that the value of contributions by each of the consortium member should first be determined, and then assess whether there has been a violation of the law. Božo Drašković, the former member of the Board of the Anti-Corruption Agency, thinks that it is doubtful whether the Agency has noticed or missed to notice that the legal limit has been exceeded. “I am afraid that there are different criteria in this country when you are in power and when you are not in power,” Drašković said. When asked by a CINS journalist whether and when it initiated proceedings in these two cases, the Anti-Corruption Agency did not respond until the publication of the text. The text was created within the project “Nadzor javnih politika: prEUgovor prati reforme u poglavljima 23 i 24” supported by the European Union. The content of the text is sole responsibility of the author and does not necessarily reflect positions of the European Union. From November 2018 to September 2019 the work of CINS is supported by Sweden, within the Belgrade Open School program "Civil Society as a Force for a Change in the Serbia's EU Accession Process."